Another coincidence story, this time from Mr. Johnson from Australia. "We lived in Newcastle (Australia) in 1957 and traded a green Austin, ANO 448, for a new car. On holiday in Sydney in 1969 we visited Manly and wandered with our two small children through some of the back streets. For no apparent reason, one child suddenly wandered up a private lane into a closed courtyard. 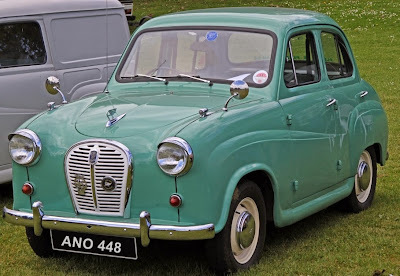 I hastened to retrieve her and entered the courtyard, the sole occupant of which was the green Austin, ANO448,"
One never knows when something like this will occur again, and again. Very interesting.